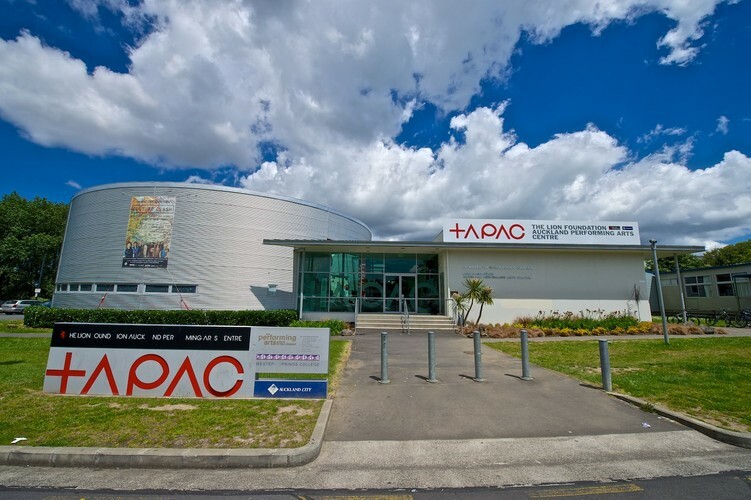 TAPAC is a vibrant performing arts hub offering high-quality creative arts education and facilities to Auckland’s diverse creative communities. The professionally managed community based venue is recognised as one of Auckland’s most popular performance, rehearsal and performing arts spaces and welcomes over 180,000 Aucklanders annually. Established in 2003, as a result of a partnership between the community, Auckland Council and Western Springs College, TAPAC is a registered charity and all profits go back into providing exciting, quality and affordable performing arts programmes for the community. In November 2018, TAPAC entered an arts partnership with Waitematā Local Board. The award-winning, purpose-built venue offers unique spaces for theatre productions, rehearsals and performing arts classes, at competitive rates. From cabarets and conferences to film festivals and circus shows, TAPAC hosts some of Auckland’s most thriving professional and community arts companies and is also available for corporate and private functions, workshops and community events. TAPAC is the only venue in Auckland that offers the community access to four performing arts studios and a professionally-managed purpose-built theatre with a flexible seating capacity of 160. We also offer a community kitchen and bar, dressing rooms, open foyer and free car-parking. Each year, TAPAC hosts more than 150 performances. We stage co-productions with some of Auckland’s leading theatre companies, including the popular ‘Night of the Queer’ and our annual October children’s holiday show. We also hire out our theatre to a wide variety of established and emerging performing artists and community performance groups. TAPAC participates in a number of vibrant festivals, including Short+Sweet, Auckland Pride, Fringe, Screenies Children’s Film Festival and Rangmanch International Theatre Festival. TAPAC is an incubator of talent that nurtures aspiring performers of all ages, abilities and backgrounds. We run more than 1500 performing arts classes annually and stage innovative programmes every school holidays for children aged 5-16. TAPAC-run classes are led by industry professionals, who offer the best training available and a direct connection to the professional performing arts industry. TAPAC’s facilities are also hired by external teachers, such as Identity Dance Company and Matworks, who offer a diverse range of classes including Ballet, Hip-Hop, Afro-Fusion, Flamenco and Pacific dance and pilates. TAPAC is also the home of the Western Springs College Performing Arts School. TAPAC welcomes a diverse range of community groups, including Mixit Creative Project for Migrant Youth, Mind over Manner Education Programme, and Starjam who hold classes, workshops, development seasons and rehearsals.